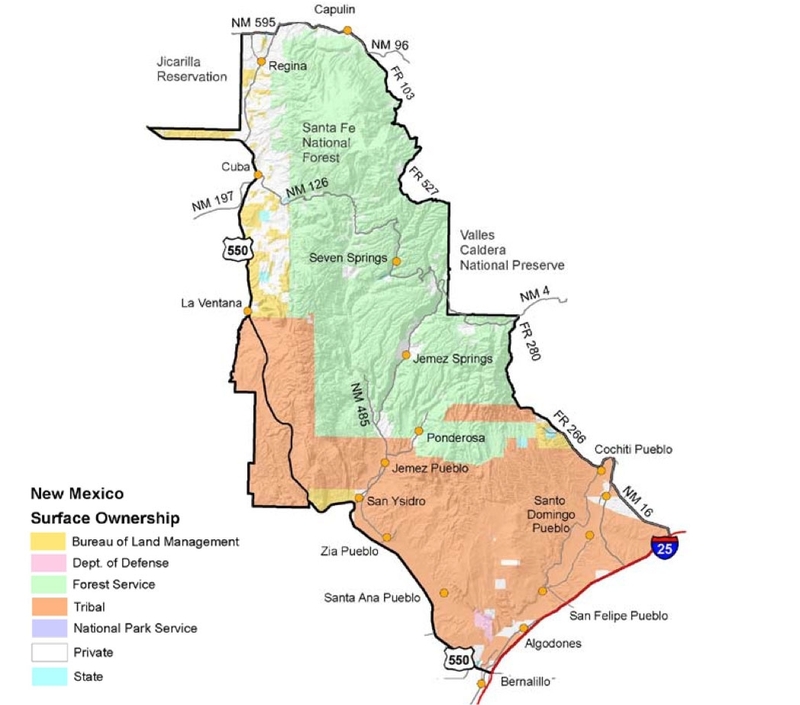 The Santa Fe National Forest is 1.6 million acres of public land. It is approximately 5,300 feet to 13,103 feet in elevation. H&A Outfitters, Inc. offers fully guided elk hunts in Game Management Units 5B, 6A and 6C and also in the Valles Caldera National Hunting Preserve. H&A Outfitters, Inc. offers archery, muzzleloader and rifle hunts in all of these units. 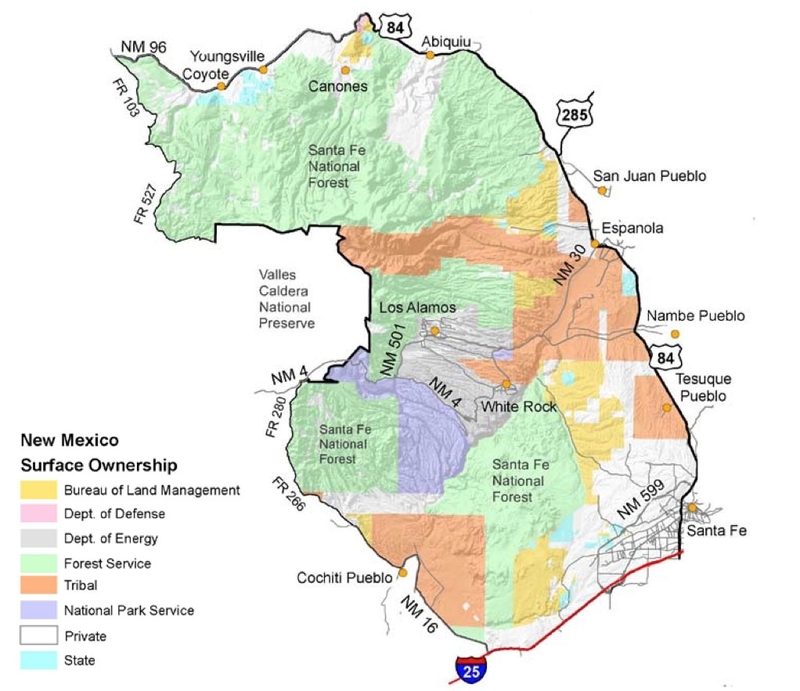 The units are located in Rio Arriba County, New Mexico. The Valles Caldera National Hunting Preserve is a once in a lifetime hunting opportunity and one of New Mexico’s premiere elk hunting destinations. The Valles Caldera National Hunting Preserve was once known as the Baca Land Grant. This was a 89,000 acre working cattle ranch which also conducted guided big game hunts. This ranch was purchased by the federal government in 2000 and in 2002 was available for public activities, hunting included. H&A Outfitters,Inc. can apply you in the outfitters pool for these once in a lifetime hunting opportunities. The Valles Caldera also offers a unique one of a kind opportunity of increasing your odds of being able to hunt this incredible ranch by giving you the opportunity of purchasing raffle tickets at $25 each and there is no limit! $6000 for a 6-day archery hunt 2 on 1 guide service. Hunt may be upgraded to 1 on 1 guide service for an additional charge. We can apply up to four per application. Price does not include state license fees. $5,500 for a 5-day muzzleloader hunt 2 on 1 guide service. Muzzleloader Elk Hunts - Read more about our muzzleloader hunts. Elk Hunting Photo Gallery - View some of our past hunts. Elk Hunting References - Feel free to call our past references. $5,500 for a 5-day rifle hunt 2 on 1 guide service. Rifle Elk Hunts - Read more about our rifle hunts. New Mexico offers a unique opportunity to hunt these quality units whether you are successful in drawing a state license or not. This is through the use of a private landowner permit. These are unit wide permits which enables you to hunt not only the private land but also the public land in the Game Management Unit the ranch is located in. This is a great advantage for the hunter to be able to utilize the entire unit. Private landowner permits are available for archery and muzzleloader, rifle hunts in GMUs - 5B, 6A, 6C. Cost ranges from $2,500 - $4,500. This is not your actual license, this is a voucher to be able to purchase your elk license over the counter. H&A Outfitters, Inc. will purchase these for you at your request for a quality guided elk hunt. Call or email us for more details. Game Management Unit 5-B. This unit has produced some very large bulls over the years for H&A Outfitters, Inc. and our clients. 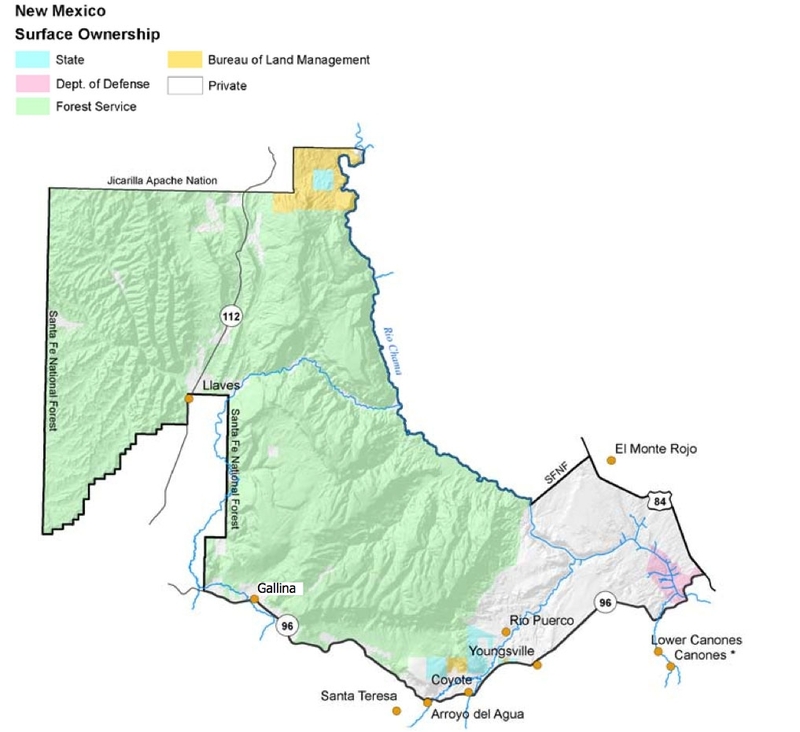 GMU 5-B has a healthy number of resident elk living in it year round but is also the main corridor for a large migration herd of elk off of the San Juan Mountain Range and the Jicarilla Indian Reservation, which is adjacent to the unit on the North end. This makes the mid-December hunt world class hunting. GMU 5-B has a variety of terrain from rough to moderate. Elevations range from approximately 6,000 to 10,000 feet. This hunt can be very physically demanding during the early hunts. On our December hunts in GMU 5-B, it can also be difficult or most certainly can be a gentleman’s hunt. Draw odds on our early hunts are some of the best in the state. H&A Outfitters, Inc. has conducted fully guided elk hunts in GMU 5-B for over two decades. We definitely have the experience and equipment to make this a successful hunt for our clients. Have a Tag - If you drew a tag and are looking for a licensed New Mexico veteran outfitter to find a trophy bull elk in New Mexico, please consider H&A Outfitters, Inc.
No Tag - If you have not drawn a tag, check out our free application service. H&A Outfitters, Inc. is your outfitter from start to finish. Call or email us for more details. Game Management Unit 6-A has started to produce some good quality trophy bulls over the past few years. GMU 6-A has a variety of terrain. Elevations range approximately from 8,000 to 12,000 feet. Blue spruce, douglas fir, ponderosa and aspen make up the majority of the forage with high alpine meadows throughout the unit. This is your classic elk habitat. The New Mexico Game and Fish Department estimates this to be our largest elk herd in New Mexico. On the North Central end of this unit is adjacent to the Valles Caldera National Preserve and the elk move freely from the Preserve to the National Forest lands. This hunt is very physically demanding because of the high altitude and the steepness of the terrain. Draw odds in the outfitters pool in GMU 6-A are some of the best in the state. H&A Outfitters, Inc. has conducted hunts in GMU 6-A for well over two decades. We have the expertise and dedication to get the job done in this unit! Game Management Unit 6-C has the potential of producing trophy bulls. This unit is also adjacent to the Valles Caldera National Preserve on the West Central side of the unit. Elevations range approximately from 8,000 to 10,000 feet. This is a very physically demanding hunt because of the high altitude and the steepness of the terrain. Ponderosa, blue spruce pine, douglas fir and aspen make up the majority of the forage with high alpine meadows throughout the unit. GMU 6-C has had recent forest fires over the past few years, which has made the elk hunting more productive in these areas. Draw odds in the outfitters pool in GMU 6-C are some of the best in the state. H&A Outfitters, Inc. has conducted fully guided hunts in GMU 6-C for over two decades. We know the unit very well and have the expertise and equipment to make your hunt a successful hunt! The Santa Fe National Forest is home to the Valles Caldera National Hunting Preserve, which is a once in a lifetime hunting opportunity. The Valles Caldera is situated in the center of Units 6A and 6C. To learn more go to www.vallescaldera.gov. Why New Mexico Elk Hunting? New Mexico elk hunting is some of the best fair chase elk hunting in North America. New Mexico is one of the top elk hunting destinations today. Annually New Mexico produces some of the largest trophy bulls in North America. New Mexico has some of the best draw odds in the country. New Mexico has set aside the best hunt dates and Game Management Units for our youth hunters. New Mexico application process allows us to apply up to 4 hunters per application and if the application gets drawn, all 4 hunters receive a license. New Mexico allows us three GMU choices on each application. We can also mix choices of weapons on one application. New Mexico has set aside a certain amount of licenses for New Mexico licensed outfitters only. This increases your draw odds substantially. New Mexico has guaranteed tags with the purchase of a landowner permit in quality Game Management Units. Free license application service! Read more about our application service. The good old days of elk hunting are right now! Don't miss out! Call us at (505) 474-6959 or email us to request information on our elk hunts. Your success is my success!